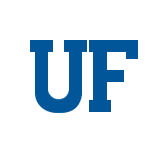 UF Information Technology (UFIT) is currently seeking a professional-level Applications Developer Analyst to join Enterprise Systems, a unit within UFIT. Enterprise Systems maintains and operates the software that powers UF’s enterprise-wide computer systems creating the technological foundation for the campus’ academic and administrative business functions. Participates in designing, coding, testing, implementing, quality assurance, documentation and maintenance of application software. Assisting with recommendations towards the development of new code/data/reports or reuse/enhancement of existing. Works with project team and customers to analyze requirements, create design specifications and prototypes, develop and test new code, and deploy builds. Makes recommendations for development of new code or reuse/enhancement of existing code. Participates in component and data architecture design, performance monitoring, product evaluation and buy versus build recommendations. Provides estimates of the design and development efforts. Assists with developing best practices related to development, testing, and change management procedures. The UF Information Technology division is comprised of seven departments reporting to the Vice President & Chief Information Officer. The departments reporting directly to the VP & CIO are: Academic Technology, Research Computing, Infrastructure & Communications Technology, Enterprise Systems, Information Security Office, and the UFIT Business Center. With established governance advisory committees and a set of well-defined, transparent processes aiding decision-making, UFIT strives to provide exceptional IT services in support of UF’s mission. For more information about UFIT and its goals and governance, visit: http://www.it.ufl.edu/vp-cio-office/strategic-plan/. Learn more about UFIT at https://it.ufl.edu/ and @GoGatorsUFIT. Founded in 1853, the University of Florida is a member of the prestigious American Association of Universities, and one of only six universities in the country with colleges of agriculture, medicine, law, and veterinary medicine. The University maintains a Research-1 classification, the highest level in the Carnegie classification system. UF has more than 54,000 students from all 50 states and 100 countries, 5,000 faculty members, 10,000 employees, 900 buildings in 130 locations around the state, and delivers a $15.5 billion annual impact on the state. The University of Florida includes 16 colleges, 180 centers and institutes, and service and extension programs in all of Florida’s 67 counties. UF is one of the nation’s top universities and a dynamic and rewarding place to work. The University seeks to recruit and retain a diverse workforce as a reflection of its commitment to serve a diverse global community. Plus, UF is located in Gainesville, one of Florida’s most livable cities. Known for its natural attractions (wetlands, forests, springs, wildlife) and cultural offerings (music, theater, visual arts, and historic districts), the area also is gaining a reputation as a thriving hub for high-tech start-ups, as well as invention and research collaborations. We are excited about what’s happening here and know you will want to be a part of it. $50,000 – $70,000 annually, commensurate based on experience and education. In addition, the University of Florida offers a very competitive benefits package. To qualify, the applicant must have completed an Associate’s degree and have two (2) years of relevant experience; or a high school diploma, or equivalent, and four (4) years of relevant experience. Appropriate college coursework or vocational/technical training may substitute at an equivalent rate for the required experience. This requisition is open until filled. Applications will be reviewed as they are received. Application must be submitted by 11:55 p.m. of the posting end date. UF Information Technology (UFIT) is currently seeking a professional-level Applications Developer Analyst to join Enterprise Systems, a unit within UFIT. Enterprise Systems maintains and operates the software that powers UF’s enterprise-wide computer systems creating the technological foundation for the campus’ academic and administrative business functions.